A circuitous route, journey, or writing style is long and complicated rather than simple and direct. When you digress while speaking or writing, you temporarily depart or stray from the central focus or topic at hand. A piece of writing is discursive if it includes a lot of information that is not relevant to the main subject. A euphemism is a polite synonym or expression that people use when they want to avoid talking about or indirectly replace an unpleasant or embarrassing thing. When someone is being frank she is being honest, truthful, and completely direct about something. If something is redundant it exceeds what is necessary, or is needlessly wordy or repetitive. Something that is tortuous, like a piece of writing, is long and complicated with many twists and turns of direction; a tortuous argument can be deceitful because it twists or turns the truth. Verbiage is either an excessive use of words to convey something that could be expressed with fewer words, or it is the manner or style in which one uses words. I admire people who can state their ideas precisely without resorting to circumlocution or long-winded wordiness. Richard Feynman, the Nobel prize winning physicist, is well known for his simple explanations of physics, which do not resort to lengthy circumlocution. “Don’t say reflected acoustic wave,” Feynman would say. “Say echo.” I find that people most often use wordy circumlocution and roundabout ways of conversing if they have nothing important to say. Quiz: Try again! What is circumlocution? The act of speaking or writing that clearly explains a difficult subject. The act of speaking or writing that is too wordy and thus can be unclear. The act of writing or speaking in a complex way that reflects higher learning. Circle Location Leads to Circumlocution "Because I did not want to hurt the realtor's feelings when he showed me a city house, I began a lengthy circumlocution to explain why the house's location near the city circle would be too, um, interesting, and it might make me want to go into, um, city planning, and then I might have to build a new city circle somewhere and, um, move, yes, that's right ... to a new location!" Circumlocution is the “act of speaking around” something instead of going straight to the point, usually for the purpose of evasion or avoidance of something. Are You Being Served? 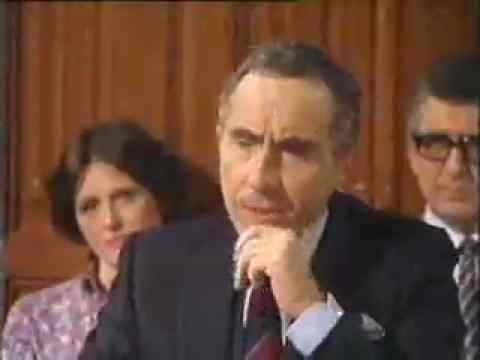 Sir Humphrey using some pretty serious political circumlocution!